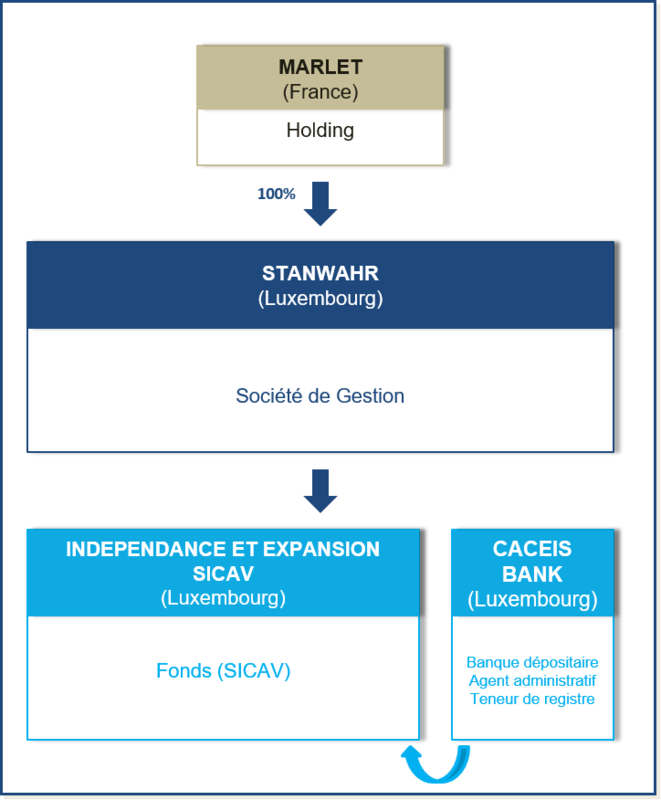 The Indépendance et Expansion SICAV is managed by the Luxembourg company Stanwahr S.à rl, a portfolio management company subject to the provisions of Chapter XV of the law of December 17, 2010 relating to collective investment undertakings. Stanwahr S.à r.l. is therefore placed under the prudential supervision of the Financial Sector Supervisory Commission in Luxembourg. The company Stanwahr S.à r.l. is itself owned by the French company Marlet. Marlet is indirectly owned by a group of members of William Higgons' family. CACEIS Bank Luxembourg is Fund administrator, and Depositary bank of Indépendance et Expansion SICAV. CACEIS is one of the world leaders in Asset Servicing, the largest depositary bank and the largest fund administrator in Europe. The company benefits from sustained growth, broad geographical coverage and the commitment of its main shareholder, Crédit Agricole SA, whose credit rating is set at A / A-1 by Standard & Poor's. Mr. Laurent Raynel is Stanwhar Compliance and Risk Officer.